The original impetus for Measure AA was the 1999 release of the Baylands Habitat Ecosystem Goals report, with its recommendation of re-establishing 100,000 acres of tidal marsh, and the 2003 acquisition of the South Bay salt ponds by the state and federal governments, according to David Lewis of Save The Bay, a driving force behind the measure. Although the government and several charitable foundations provided some money for initial stewardship and restoration, “we quickly realized that it was a fraction of what would be needed to actually restore the ponds,” says Lewis. After an attempt to work with state legislators to find a quick way to raise local funding fizzled, environmentalists began creating a comprehensive case for Bay restoration and for regional funding to support it. As part of the process, Save The Bay projected costs for restoring shoreline that had already been acquired for that purpose. Concerned that sticker shock might undermine support, some wetland advocates resisted the notion of publicizing the total cost. However, “we had to demonstrate need for more funding and the gap between the cost and what was currently trickling in from federal and state government,” says Lewis. Save the Bay also commissioned several public opinion polls which found that a large majority of Bay Area residents supported paying a small tax for Bay restoration. 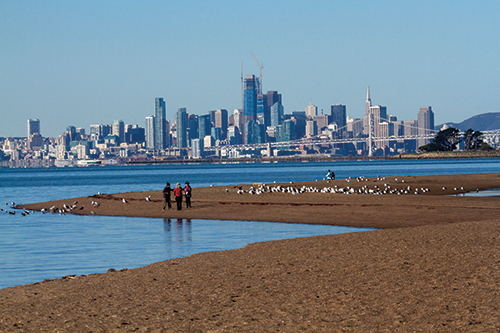 In 2007 Save The Bay released Greening the Bay, a report that detailed the benefits of Bay restoration and the total estimated costs of restoring 36,176 acres of shoreline properties around the Bay—approximately $1.43 billion over 50 years. The report included a policy recommendation that a regional special district be established to secure local funding for and to coordinate Bay restoration. “We looked at different ways to make it possible to pursue regional funding, including giving additional powers to an existing agency or creating a joint powers agreement,” says Lewis. 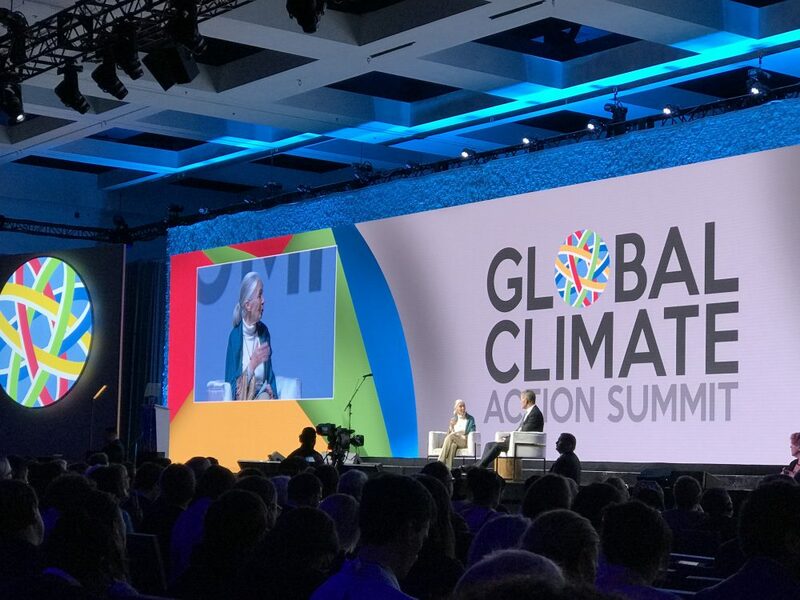 The recommendations in Greening the Bay secured critical early support from elected officials such as Sen. Dianne Feinstein and the Bay Area business community. Advocates worked with the lawmakers to draft legislation and in 2008 the state legislature approved AB 2954, creating the San Francisco Bay Restoration Authority and charging it with “raising and allocating resources for the restoration, enhancement, protection, and enjoyment of wetlands and wildlife habitat in the San Francisco Bay and along its shoreline.” The Association of Bay Area Governments appointed a Governing Board composed of local elected officials and recruited an Advisory Committee of stakeholders. “We had taken two big steps over a four-year period: First, we defined the problem and made the case for what it would cost and second, we created an entity with the power to raise that money if voters agreed,” says Lewis. The legislation creating the Restoration Authority did not include any funding, so the California Coastal Conservancy, the San Francisco Estuary Partnership, Save The Bay, and others volunteered staff time and resources to research legally and politically viable options they could propose to voters to raise money. They explored different geographical possibilities, different kinds of taxes and bonds, and different tax rates. They also conducted more public opinion polling and outreach to local elected officials as well as to the region’s business and philanthropy communities. 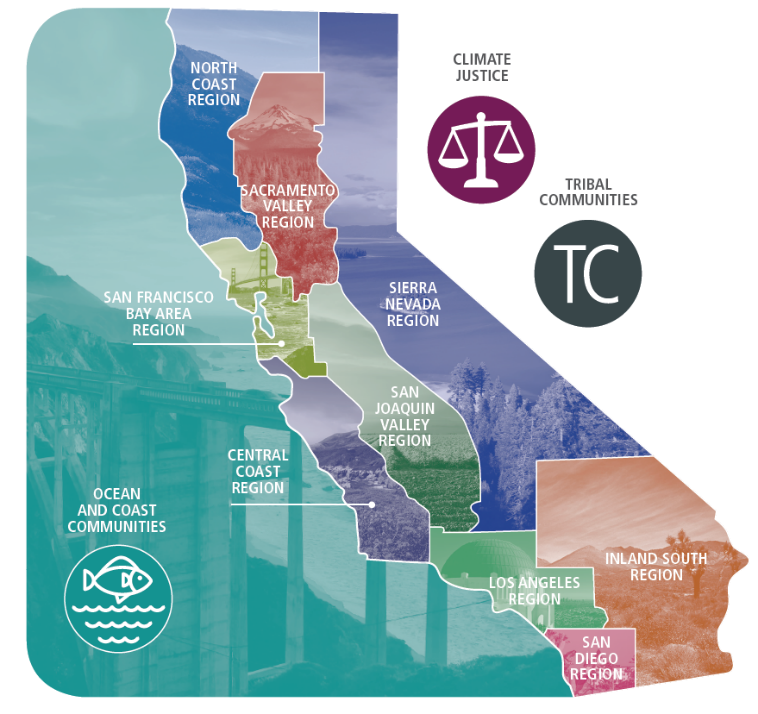 as a way to make a difference for our environment, our communities and our economies,” says Carl Guardino of the Silicon Valley Leadership Group, an early and energetic supporter of the Authority. As support grew, and the Authority’s Governing Board waded into planning, a voluntary committee began discussing how to develop consensus on a tax approach and build a successful political campaign. Placing the measure on the ballot in all nine counties simultaneously turned out to be somewhat challenging. To begin with there were the fees charged by registrars, which were initially estimated to total $6 million. “We had to go back to the legislature and amend our enabling statute to say that the registrars could only charge us for the true incremental cost of including Measure AA in their ballots,” recalls RA Governing Board Chair Dave Pine. That lowered the estimate to about $2 million, which the RA borrowed from the Santa Clara Valley Water District, the Sonoma County Water Agency and the East Bay Regional Parks District. in the same place on all the ballots. “It was an enormous challenge to try to bring uniformity to the ballot process for a nine-county measure when this had never been done before,” says Pine. The efforts paid off, and Measure AA passed with 70 percent of the vote, comfortably more than the two-thirds margin required. Measure AA will raise $25 million per year over 20 years. That is far short of the total need identified in Greening the Bay, and restoration advocates emphasize that continued state and federal funding will remain crucial. Meeting with members of Congress and their staffs in March BCDC’s Larry Goldzband argued that it’s in the federal government’s best interest to leverage federal environmental dollars by directing any available funds to communities that are spending their own money on restoration. “Our basic thrust is that if a community is willing to tax itself to do this and there are federal funds available for it, then direct those funds to those communities that have demonstrated that they have skin in the game,” he says. However, whether such funds will be available during the next several years is far from certain, as the Trump Administration’s proposed budget eliminates funding for marsh restoration in the Bay. Many people involved in the RA and Measure AA campaigns believe that they can provide valuable models for other regions and/or efforts to address other Bay Area regional challenges. to conversations about more regional solutions to these challenges.” Traffic will only be made worse by increased flooding on shoreline highways as the Bay expands. Writer John Hart has watched the ebb and flow of regional thinking in the Bay Area since the 1960s “I think that these regional ideas keep arising again because they have to—events kind of beat us toward regional thinking,” he says.